Traditional Chinese medicine which is acupuncture employs the additional use of a machine to stimulate the needles and, in effect, provide relief where needed. Acupuncture is one Chinese treatment, which has been intensively researched on, challenged and corroborated by western doctors. The journal of American Association of Anatomist indicated that acupuncture points correspond to areas where connective tissues are thickest and which contains many nerve endings. Far from being a fleeting trend, acupuncture has become an accepted health care practice. It involves science intersecting with nature. The most debated science between East and West is the use of acupuncture as a medicine. At this point, the research studies have not led to any complete conclusions about whether acupuncture can be considered a science. At the same time, research indicates that the use of meridians in acupuncture is effective in healing. Scientists have also stated that because the treatment is harmless, it can be used, and simply needs to have more investigations related to it. Acupuncture is an ancient form of Chinese medicine that has been around for more than 2500 years and is becoming an increasingly popular treatment for back pain. According to the theory of acupuncture, energy-called chi or qi-flows through the body along pathways called meridians. If the flow of chi is interrupted, pain or illness can occur. When that happens, very thin needles can be inserted along the meridians to correct the flow of chi. No one is sure exactly why acupuncture works. Eastern philosophy holds that the needles unblock interrupted chi. Western medicine has a few theories of its own. Some believe acupuncture stimulates the nervous system and the 2000 energy centers in the body, which in turn triggers the release of natural painkillers in the form of endorphins, opioid peptides, and chemicals from the hypothalamus and pituitary gland. Others believe that acupuncture needles help contracted muscles relax, stimulate nerves in the legs, and decrease inflammation of the nerves in the lower back. Studies by the National Institute of Health show that acupuncture is effective in treating back pain, and 2500 years of success for the Chinese backs this up. Like all back pain treatments, acupuncture seems to be most effective when used in conjunction with other treatments. It is also very safe, with no known risks as long as you chose a reputable practitioner. Needles are sterile, disposable, and FDA-approved. In the U.S. they are used only one time, sealed before use, and disposed as hazardous waste after treatment. In the United States there are over fifty acupuncture training schools, which require approximately 3000 credit hours of study and offer the equivalent of a Master’s Degree. Often an undergraduate degree is required for admittance to an acupuncturist college. The first two years in acupuncture school are spent in classroom study, the third year is spent as an apprentice to a licensed acupuncturist, and the fourth year is spent as in intern working under supervision on patients. States have different requirements for acupuncturists, but all must take a state examinations and/ or a national exam in order to be licensed to practice. To find an acupuncturist, contact the American Academy of Medical Acupuncture. During an acupuncture treatment session, the practitioner will insert anywhere from one to twenty needles into various places in the body. Some needles may go in just under the skin, while others may go deeper into muscle and fat. Needles will be left in from fifteen to thirty minutes. The practitioner may turn needles one way or another after inserting them into the body, or leave some in for only a few seconds before removing them and inserting them elsewhere in the body. Don’t be surprised if the practitioner treats your back pain by putting needles in your ankles, knees, or fingers. This is a technique called percutaneous electrical nerve stimulation (PENS), where needles are inserted into nerve centers and electrically stimulated. You can expect to feel relief for chronic pain in about ten to fifteen treatments and sooner for acute or sudden pain. 3) prescribe herbal supplements in addition to physical treatment. You may be surprised to learn that acupuncture is rarely described as painful. In fact, many people find it relaxing and even fall asleep during treatment. Some people feel energized. One reason for this is the type of needles used. Acupuncture needles are very different from hypodermic needles. Instead they are very thin and fine, like hair. They are also solid, whereas hypodermic needles are not, as they are made to extract tissue. So getting acupuncture needles inserted into your skin will feel nothing like getting a shot at the doctor’s office. When you are considering acupuncture, it is important to make sure the practitioner is someone you feel comfortable working with. Look for someone who is interested in your whole health and takes time to ask and answer questions. Since some medical doctors also practice acupuncture, you will want to make sure they are licensed in acupuncture in addition to their other training. To check if a practitioner is licensed and accredited, contact the American Association of Acupuncture and Oriental Medicine. If you are like most, you may not see the pleasure in being treated with needles poking into your skin. However, to those in Chinese medicine, and to several who have discovered alternatives with holistic healing, this is the perfect remedy. The idea of acupuncture in Chinese medicine is important to help with healing the energy flow in someone. Acupuncture is based off of the idea that there are certain points in the body that can help one to heal. When these points in the body receive extra pressure through a device, they will be able to assist with the healing. In the practice of Acupuncture, needles will be used as the major transports to reconnect the energy flow in the body. The use of acupuncture begins by studying the various areas that the flows of energy are. These are known as meridians or channels in the body. The body has twelve major channels where energy will flow and cycle. The places where these channels connect are usually where energy can become blocked off. By using acupuncture, the connecting areas for the channels are examined and unblocked by pressuring the specific points. Once one has found the connections for the acupuncture, then it is important to find the effects that all of these connections have. Each different point will have elements that are linked directly to what the body needs in order to stay balanced. These are specifically linked to the five elements that are considered to be the basis for the laws of the universe. By finding the various channels and connections in the body, acupuncture specialists are able to find which areas of Qi are not flowing properly. This allows them to effect the way that the body flows in order to help restore and revitalize the energy levels in the body. By getting one into a better flow of their energy, they can achieve complete health. If you’ve tried various traditional types of medical treatment for an illness, but none have worked to your liking, consider an alternative form of treatment. One such alternative health method is acupuncture, which has been used since ancient China to cure everything from back pain to headaches to infertility. Today, doctors are learning more and more about the many real health benefits of acupuncture, so the practice is becoming widely accepted when it was once considered a primitive kind of treatment. Talk to your doctor so that you can fully understand if acupuncture can help you. Acupuncture works by stimulating certain points on the body to heal you. A certified professional will first do an analysis by asking you questions about your health history and your current condition. He or she will also look at your skin color, tongue appearance, and dental health, as well as other things about your body. Your acupuncturist will then decide on the best course of action. Traditionally, acupuncture looks for the root of the problem and fixes that rather than simply treating the symptoms. All health problems stem from the dysfunction of energy flow in the body. The acupuncturist will stick small needles into your body at specific points to relieve the stress placed on this energy flow and hopefully correct it. These points are in places all over your body, but the process should not hurt or otherwise feel uncomfortable. If you are still wary about acupuncture, you can do a special type that involves only points on your hands. This hand acupuncture can still treat illness throughout the body. When done correctly, acupuncture is safe and can be extremely effective. Your acupuncturist should be certified and have a legitimate business, so that you are sure that things stay safe. As with any technique that involves needles, make sure that your acupuncturist uses tools that are sterile. Your regular doctor should be able to direct you to a high-quality acupuncturist in your area so that you explore this treatment option. Acupuncture works best when used in conjunction with other forms of treatment, and can be used as a preventative method as well, so even if you are not currently suffering from any afflictions, you can use acupuncture to prevent medical conditions. Although it is still a kind of treatment that is met with much skepticism, acupuncture has proven itself in today’s medical world. Pursue this option when nothing else has worked, and remember to keep an open mind about it and about all forms of alternative medical treatment. Usually, science driven societies are optimistic about the ideas linked to acupuncture and their effectiveness. Even though this ancient practice has become more known in the past ten years, it is still a procedure that is not completely understood. By understanding how the process is done, the possible side effects and the outcome, you can determine if this ancient Chinese medicine practice is right for you. The experience of getting acupuncture done, despite what many think, is not as painful as it looks. Acupuncture is generally painless when you are going through the process. Usually, the effects will be no more noticeable than a mosquito bite, but this is even considered rare. Most likely, going through the process of acupuncture will either give you more energy or cause you to relax into a state of meditation. During the procedure, you can expect the acupuncturist to be prepared with several practical things. The needles that are used will generally be of an inch to several inches long. The needles are made out of sterilized silver, stainless steel or copper and are considered safe by the same standards used in any hospital. In order to ensure that the needles are safe, there are several places that will regulate what is being used. The National Commission for the Certification of Acupuncture and Oriental Medicine has a specific department that ensures that all needles that are used are sterile and safe. If you want to be certain, you can make sure that the acupuncturist you go to have a CNT, also known as a Clean Needle Technique Certification. This will ensure that there are no problems with the procedure in terms of other health issues. Of course, there are still other risks that may occur. By standards of other procedures, acupuncture is not as risky. The most serious problem may be a punctured organ. However, these are uncommon with most practices. This is the only major problem that one may run into. Beyond this, the only possibilities for problems may be things such as dizziness, nausea or bruising. If you are considering acupuncture as an option for any possible reason, you will also want to make sure you know exactly what you are getting into. Overall, acupuncture is considered to be a safe process, as well as helpful in relieving any kind of imbalance or misguided energy. Before walking into this ancient Chinese medicine practice, you will want to make sure that you know the procedure and the possible outcomes. Acupuncture is an ancient Chinese medicine that is used to help restore health. By focusing on specific points in the body, acupuncturists are able to find the way in which the body’s energy is flowing and find new ways to make sure that everything flows properly. This helps one to remain balanced and holistically healthy. Most of us know that acupuncture will find specific points in the body and place needles in that area in order to restore or unblock energy in the body. Understanding the different points that an acupuncturist looks for will help one to understand why the different points of the body and how these link together in this form of Chinese medicine. The first sets of points that are used in acupuncture are transporting points. There are five known transporting points that are focused on throughout the body. These will mostly be found in the legs and arms. Each of these transporting points is named after characteristics of water, and all hold the same characteristics that a water form would. For example, the sea is where the points connect energy with the body to the organs because it is a set of deeper points in the body. From here, the points will be determined by the five elements of the earth. These are usually found at finger and toe tips in the body. For an acupuncturist, it is important that the five elements are represented and flowing with the right Qi in all of the points that they should be found. Yuan-source points are also important to examine. These are the points that will link all of the organs together. Each point represents one organ. If you have ever seen acupuncture at work, you know that the needles will all be placed into a person’s body at different lengths. This also links directly to the points that are being examined in the body. The shallowest set of points is known as the Xi-Accumulating Cleft Points. These are wider and shallower spots that make it easy for Qi to become blocked. The upper third of the body has a special set of points that will be used. These are known as the window to sky points and are directly linked to one’s spirit and relationship from heaven to earth. Mu-Front-Alarm Points are also examined. These are in the front of the body and are also associated with organs. Only the organs that have been diagnosed as blocked will have needles placed to help their flow. Of course, everything that is done to the front also has to be done to the back. Shu-Back Points are the points that correspond with the front diagnosis, only on the other side of the body. Knowing the different points as an acupuncturist is one of the most important parts of understanding how to heal. By beginning this process and finding the points that need different types of Qi unblocked, one will begin to feel the difference and begin to heal. When most people think of traditional Chinese forms of medical treatment, acupuncture comes to mind first and foremost. Acupressure is another form, however, that is very similar to acupuncture and can also help in relieving pain and discomfort. Acupressure is especially good for people who fear or are otherwise skeptical of sticking needles into their bodies. Related to massage, you should explore acupressure as a treatment option. Although it is still not considered valid by many traditional medical doctors, studies are beginning to be done, and these show that the technique is very effective. An acupressure session will start much in the same way that an acupuncture session begins. The professional, who should be certified in traditional Chinese medicine will assess your health situation and determine the cause of your problem. The root of all medical pain and suffering is poorly flowing energy in the body. An acupuncturist and an acupressurist stimulate points on the body to help correct this energy flow. These points are, in many cases, not at the place of your pain, but instead found throughout the body. A common kind of acupressure used is called cupping, although many other forms are also popular. In this technique, the professional uses fire and small cups to create suction to the body at specific points. This treatment has been used not only in ancient China, but also in other ancient civilizations, such as Greece. Today, practitioners as well as those who have been helped by acupressure are seeking to help it become better known and to have people take the technique more seriously. Acupressurists are usually acupuncturists who have learned acupressure skills as well. Always visit an established business for these needs, and be sure that your acupressurist is certified. The office should be clean and be sure that his or her tools are sterile before treatment. Your regular doctor should be able to direct you to an established acupressurist in the area, or you can call the Better Business Bureau to find out more about local TCM businesses. Your regular doctor can also tell you more about how acupressure can be used not alone, but rather in conjunction with traditional medical treatment like exercise and medication. This is the best course of action and most effective. Don’t discount nontraditional forms of treatment, like acupressure, when planning with your doctor—these could end up being most effective for you. Stroke survivors now turn to traditional Chinese cures combined with modern technology to speed up recovery and reclaim their lives. Chinese medical theory cites that excesses or deficiencies in food intake, work, exercise, emotions, and so on, can cause illness. More people are discovering just how effective modern alternative health and therapeutic treatment is in healing ailment raging from tension and fatigue to pain and serious illness like strokes. Majority of stroke patients are left with some forms of permanent disability that interferes with normal daily activities, such as walking, speech, vision, understanding, reasoning and memory. To ease their condition there is various treatments and rehabilitation involves using a mirror. It is believed that if a person who has had a stroke watches how the unaffected side of his or her body moves, it can give visual clues to help the person move the affected side. Electrotherapy is among the services, which offers holistic and integrated approach based on the intrinsic flow- and – energy balance theory of health and healing. It has proven to be a very effective treatment, especially when administered within one year after a person suffers a stroke. It is able to help improve blood circulation, speech, and motor facilities. A stoke is a brain damage cause by lack of blood flow to a portion of the brain. It results in permanent damage to the brain tissue- and in many cases permanent disability for the patient. In addition to physical consequences like speech disability and paralysis, stroke survivors often deal with the psychological effects, like feeling depressed, angry and frustrated at their inability to perform tasks that, before the stroke were easy or automatic. One of the major ways in which Chinese medicine determines how one’s health is relies on the laws of the universe. This essentially means that any trained person in Chinese medicine will turn towards nature and the characteristics that are in this environment to determine why one may be unhealthy. One of the ways that these determinations are made is through the five elements. The five elements consist of water, wood, fire, earth and metal. When looking at these elements, there are certain attributes that are analyzed. In turn, the analysis that is made will also determine how it is related to various organs. Not only did these five elements determine the relation of the elements to organs, but went on to include things such as how emotions corresponded with these various elements. The idea of the five elements is to see how everything is interconnected to each other through the universe. Chinese medicine determines that every man is a reflection of what is in the universe, meaning that each individual can be analyzed in direct co-relation to the elements of the universe. Take for instance if someone is having trouble with their heart or small intestine. According to Chinese medicine, this would directly relate to Fire, meaning that it would be linked with the qualities of summer and the energy of heat. The result of the heart or intestine trouble would be that the sense organ of the tongue would first be affected. The emotion associated with this would be either joy or shock. The heart and the small intestine will also trigger bitter taste that someone will respond to. The idea is that everything in the external universe is directly aligned with the internal. In order to be completely healthy, or to get holistic health, the five elements principles have to be applied. By doing this, one is able to find the natural solutions for any season or element that they are looking at. Even though Chinese medicine has been used as an effective method for over 5,000 years, Western scientific proof continues to debate whether this is a logical method to help with healing. If you are interested in Chinese medicine, but are not certain of its effectiveness, you can look at the various research studies that have helped others to reach conclusions about its effectiveness. Another debate that has been studied by Western scientists is herbal medicines that are used from traditional Chinese medicine methods. While some of these have not been studied, other parts of the herbs are used in pharmaceutical medications that are prescribed to patients. Chinese wormwood, Ephedra, and artemisinin are some examples of ancient remedies that have moved into Western medicine from Chinese ideals. One agreement that all Western research shows, with the various ideas of Chinese medicine, is that the treatments are safe. All of the medical studies indicate that even if the medications are not scientifically proven, they are still not detrimental to one’s health and most have few side effects. Because this is a proven point to the holistic methods, most scientists will also state that it is simply a lack of research from the medicine that is used in Chinese philosophies. From the philosophy to the science, Chinese medication is a debated concept in Western society. However, there is also a growth and a beginning to understanding the concepts that have been used and experimented with over time. Through the various techniques of Chinese medicine to the continuous use by individuals who are looking for holistic health, Chinese medicine continues to become prominent in Western society. 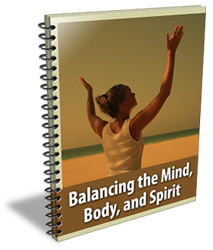 Free Report Reveals How to Balance Your Mind, Body, and Spirit, and How This Can Help You Live Life to the Fullest! This special report will dig deep into the triad of health and explain how the mind, body and spirit relate to one another to maintain wellness. Who Is Qualified To Perform Acu Puncture? SITE DISCLAIMER: Do these products “cure” anything? Of course not… but it stands to reason that if you cleanse your body and feed it the finest nutrition available, giving it everything it needs in balance, on a daily basis, that your body will do what nature intended, and give you the best possible chance to fend off sickness and disease. This Acupuncture information is not presented by a medical practitioner and is for educational and informational purposes only. The content is not intended to be a substitute for professional medical advice, diagnosis, or treatment. Always seek the advice of your physician or other qualified health provider with any Acupuncture questions you may have regarding a medical condition. Never disregard professional medical advice or delay in seeking it because of something you have read. Any natural and/or dietary supplements that are not FDA approved or evaluated must be accompanied by a two-part disclaimer on the product label: that the statement has not been evaluated by FDA and that the product is not intended to "diagnose, treat, cure or prevent any disease”. The Acupuncture resources on this site are not intended to be a substitute for professional advice. While all attempts have been made to verify information provided in this publication, neither the author nor the publisher assumes any responsibility for errors, omissions or contrary interpretation of the web site Acupuncture subject matter herein. The what is Acupuncture site Acupuncture contents are solely the opinion of the authors and should not be considered as a form of advice, direction and/or recommendation of any kind. If expert advice or counseling is needed, services of a competent professional should be sought. The what is Acupuncture author and the Publisher assume no responsibility or liability and specifically disclaim any warranty, express or implied for any products or services mentioned, or any techniques or Acupuncture practices described.